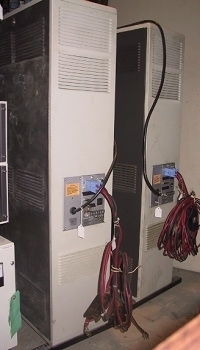 The following equipment has been donated to, or has been taken out of service by, the CCECPSCO and is currently available. If you have any interest in the equipment listed below, please contact the CCECPSCO to discuss one of the following options. Note that the CCECPSO is a not-for-profit 501(c)(3) public service organization. Contributions of funds, services, or equipment to the CCECPSCO may therefore be tax deductible. All equipment listed below is untested and as-is unless stated otherwise. Unmarked line card rack. Seems to be for inserting phone lines into the bandpass of the MDS-960A radios. Includes 3 Motorola MLN6625A Starplus Microwave Channel Modems. 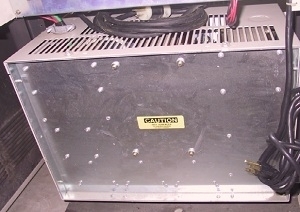 Heavy duty 24V at 25A power supply and battery charger. This supply may be strapped for positive, negative, or floating ground. 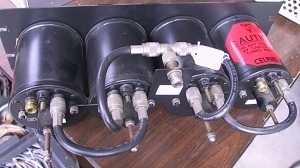 Supply runs of either 110V or 220V AC. 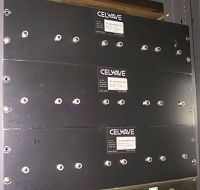 Celwave Duplexers. Sorry, we don't seem to have Celwave part numbers for these. They are marked with the Motorola contract number. We believe these are for 890 to 960 MHz since most were paired with 950 MHz units. We can test and tune these for your use. Some of these have a bracket to hold the "T" connector, others do not. 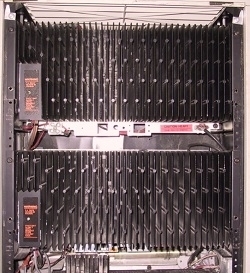 Motorola MSF-5000 repeaters for 800-860 MHz. The model numbers decode as below. We do not have confirmation that these can be moved to the 902-928 MHz Ham band. Please let us know if you have more information. 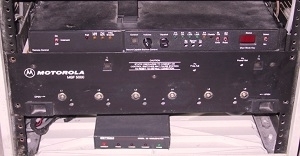 (See http://www.repeater-builder.com/motorola/msf/msf-tour.html for some additional information on these repeaters). Note that these are very heavy! 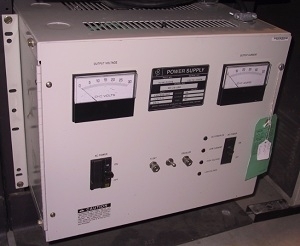 They may actually be 150W units since they have two amplifiers and supplies in them. I'll have to check the model numbers again. Will sell or trade sub-assemblies of these repeaters.